You should always be thinking about yourself not simply as someone a client is paying for specific services, but as an extension of the team guiding that company. 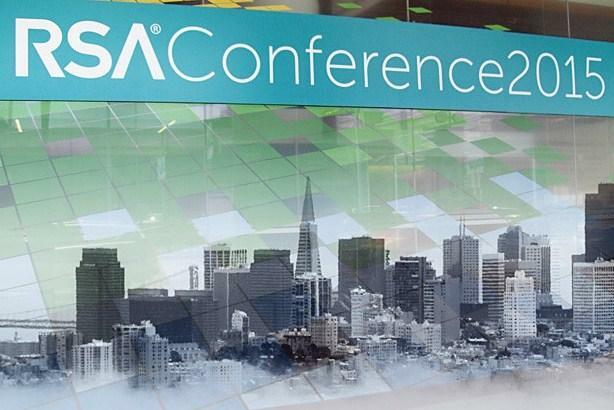 Last week, I had the privilege of attending the RSA Conference 2015 in San Francisco, which was eye opening, to say the least. One of the perks of working in communications is that you get to step into spaces you don’t live and breathe all the time. It’s very refreshing. While it’s obviously a challenge to be a quick study on any number of things, it’s also a very useful way to learn more about yourself and become a more effective communicator for clients. The RSA Conference is one of the bigger gatherings where people discuss security – something increasingly more difficult to manage in today's digital age. On Tuesday, I heard a number of mentions about "who’s responsible for what," most notably regarding software providers and developers. Specifically, whether developers of software were ultimately responsible for things that happened outside of what any End-user license agreement (or EULA, for short) says the software was created to do. This isn’t to say that EULAs are simply about "passing the buck" as much as they possibly can, but I’ve heard jokes (that probably had some semblance of truth) before about how one operating system’s EULA pretty much said that "if your computer overheats and goes up in flames, you can’t sue us." This got me thinking about how we talk about what we are – and aren’t – responsible for as communicators. We spend a lot of time trying to quantify and measure everything we do. I’ve touched briefly on this topic before, and it’s one that we should all take very seriously. But what if we look at things a different way? What if we did what we do every day based on what we’re responsible for, not simply based on what goals someone pays us to meet? This isn’t to say that no one thinks this way, but in our fast-paced, always-changing environment, it’s easy to lose sight of where simply "doing our job" ends and "being responsible" begins. We all take our work very seriously. Even the slightest tough phone call or frustrated email will sometimes stick in the back of your head with an "uh oh" feeling. Most of the time it is what it is and passes on. To me, that’s being responsible, not simply checking a box, moving something from a to b, or filing something away for later use. In practice, however, we can think of this a few ways. Scopes of work are a big part of what we do (or should be, at least) in the agency world. It helps us keep our work straight, plan for retainer hours, and so forth. It keeps us accountable. Beyond those scopes though, as agencies for our clients, we’re there to help steward the brand, keep it growing, or defend it from harm. For clients with which I don’t work on the social media for the brand, for instance, I still think about what’s relevant for them in social spaces and even provide guidance or try and collaborate with another agency that might be handling that work. I try and be responsible for them in that arena, even though I might not be formally "paid" to do so. You should always be thinking about yourself not simply as someone a client is paying for specific services, but as an extension of the team guiding that company. Responsibility goes a long way in PR. Thinking about our work as a responsibility as opposed to simply "work" may open your eyes a bit. Perhaps it will have your client or team look at how you’re approaching their business a little differently, too. Tom Biro is SVP at Allison+Partners' Seattle office. His column focuses on how digital media affects and shifts PR. He can be reached at tom@allisonpr.com or on Twitter @tombiro.